"You want your guests to enter and leave with that ‘WOW’ --- “How did they think of that?” Make them feel that they are a part of the event whether a dinner party, surprise party, cocktail party, receptions, or even that familiar office party." Whether it's your wedding, anniversary party, family reunion, corporate event or charity luncheon, professional planning gives you the opportunity to create a special event while enjoying every minute of it. 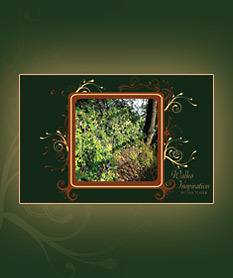 Walks of Inspiration is now available for purchase. The book features inspiring images with quotes showcasing amazing landscapes. From meetings to client parties to employee training to executive retreats, TP Events™ has planned and coordinated them all. Anniversary parties, family reunions, holiday socials, birthday celebrations or any special occasion can be enhanced by professional planning. We will help you with every detail, from creating a vision to staying within your budget to ensuring that everything runs smoothly on your wedding day.